One of the reasons I began studying astrology, was trying to determine the direction my life path should take, and why some people with certain talents, never fulfilled what I thought where their destiny. After many years of study, I realized there was no simple explanation the path an individual takes in life, and though we may think our astrological chart is a map carved in stone, however each individual has a free will to make subtle changes that could make the situation better or worst. Why was it that some where given or blessed with more then others, and didn’t seem to benefit from it? While others given less and yet have ended up happier, or was it the ability of the individual to take what he was given, and what he did with it, that created the outcome? My other thoughts on the matter was why some went to see astrologers, and came out of the consultation with a direction and determination to make their destiny, while others came out of the session just to fulfill what was said? Why did some seeking information through the internet, seem to want to just take the advice as stated, instead of integrating the information into their own life style and thinking, to come up with something that would really work for them? Aspects always tend to work a certain way if given perfect conditions, but in reality, perfect conditions do not exit. Any aspect can have subtle or drastic outcomes depending on what is happening in each individual chart. As I ponder theses thoughts I came to the realization, it was the attitude and nature of each individual, which seem to be determined by the planets Jupiter and Saturn that seems to determine the amount of happiness and satisfaction each individual would achieve in their life time. Notice, I didn’t say success, as I feel success is in the eye of the beholder, and that each of us measure success in different ways. What might amount to success to onlookers, might be very different to the person we see as successful. How we see our situation is how we tend to navigate a course to achieve the goals we wish for. It doesn’t matter whether our attitude is positive or negative; our thoughts attract like thoughts, and create without needing directions from us. If our thoughts are positive, it will attract positive situations, and allow us to see opportunities that present themselves and to take advantage of the moment. Negative thoughts on the other hand are so busy multiplying, that when opportunities or what most people call luck are on the horizon, it passes us by without being notice because of our attention to insignificant details. What we need to do is to understand how Jupiter and Saturn functions in our charts, and to work with it, to achieve our hearts desire. Saturn is how we categorize and deal with obstacles and challenges in our path, and Jupiter is our ability to persevere through the straight and narrow path of our higher thoughts and philosophies in which to guide us to the light at the end of the tunnel. Jupiter gives us hope and understanding in the structure and limitations that Saturn imparts in our decision making to reach the goals ahead of us. In order to understand Saturn and Jupiter, we need to go back to the Basic’s 101 with Traditional Astrology and see what the ancients attribute to these planets, the signs, and the houses they are in. Is the planet happy in the sign and house it is in, and are they performing at their highest potential? If not, is there an aspect with another planet, house or angle that will give a clue to what might help it to do better then expected? Saturn in Traditional Astrology is considered malefic, but how malefic is it, and what would lessen the energy and destructiveness? Working with these two planets is like working with any other difficulties and situations in one’s life. If you have decided your appearance isn’t to your liking, you either go to an expert, or read up on it, to gain the information to make the necessary changes in your appearance. You don’t get upset with the circumstances; you work towards what one can do to make the situation more to one’s preference. The same is true with Jupiter and Saturn, we must understand them to understand what is needed to get where we want to be. Without doing this, negative thoughts can become prevalent, and the mind can create a minefield of destructive thoughts that will destroy our hopes and dreams. Another New Moon at 15 Virgo 40 at 3:31 a.m. PDT on September 8, 2010 is again about to unfold so that we can meditate and visualize the future, we wish to participate in. This particular New Moon is telling us that we cannot get away so easily by just changing our tune and direction, but that we must put some sweat, tears and hard work into arriving at a direction that includes the spiritual oneness in our entire decision making. To put the Spiritual back in our daily lives, it is important to understand that everything is connected, and when the ancient wise men assigned numbers and symbols to a thought or idea, there definitely was a reason and purpose for it. Virgo rules the sixth house and to understand how the Moon’s energy will help us during this period, we must understand the importance of the number six and the six pointed star associated with this number. The number six is considered a perfect and complete number since the number 1, 2, and 3 can be added or multiplied and still equal 6 (1+2+3=6 or 1×2×3=6). Being six, it has an innate need to understand and gain insight and to find a way of placing and combing the experiences with the spiritual and material into a meaningful whole. Two points always needs a third point for balance and to produce equilibrium and being perfect produces an equilateral triangle. 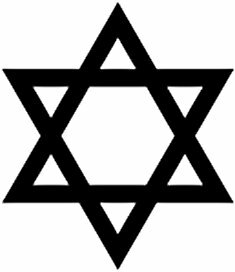 Being complete, the number six is represented by a six pointed star compose of two interlaced triangles, with the triangle pointing down representing the Universe sending its’ blessings and reaching down to experience our world. The earth and those in it are represented by the triangle pointing up, representing us looking towards heaven and trying to emulate and become like the spiritual and the holy ones. 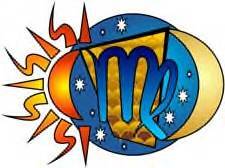 “The Sabian symbol for the 16th degree of Virgo is taken from “The Sabian Symbols in Astrology by Marc Edmund Jones”, and what follows are my comments. Virgo 16 An Orangutan This is a symbol of the primitive power which the processes of evolution have brought into leash with the development of mankind, and which each person must refine for his own use in meeting the demands of higher life. There are always unmobilized resources in self to meet the exigencies of any unique situation in which an individual may unwittingly be involved, and maturity at root is a continual discovery of these and consequent increasing facility for rising to any possible occasion. The keyword is dexterity. When positive, the degree is man’s ability to strip himself to fundamentals, and there stand proudly on his own, and when negative, self-justification in crudity or violence. As our modern world in this High Tech age seems to take giant steps into the future with every passing second, we must not forget who has created us and in His goodness has given us free will. To think that we have done this alone brings on the crudeness and violence we have inflicted on God’s creations and the environment. We must remember as we strive to reach perfection, we will bring all those around us to the next level, and those below that level to the next stage of enlightenment. Whether we see it in spiritual or in material terms, we need to think for the good of the whole, and not just for our own benefit. We must keep the symbol of the interlaced triangle in front of us, to remind us that the Divine is blessing and guiding us, and that we, his creations are always reaching upward in order to achieve his perfection and likeness. With the difficult aspects still in the night sky, the change the Universe wants is for us to keep our connection and interconnection with the Universe. Like the number six our destiny towards Godliness needs to be perfected and completed, as we need to see and remind ourselves that we are the interlaced triangle that is pointing up and is trying to reach perfection and completion. As my journey into the study of astrology is never ending, I am always amazed when I arrive at a moon phase, especially the Full Moon which begins on August 24, 2010 at 1 Pisces 25 at 10:05 a.m. PDT to see how the Universe always gives us a choice in how we live out our destiny. As this Full Moon comes into its own, it makes a beneficial aspect to Pluto with a quincunx to Saturn, and with the Sun, a quincunx to Uranus and Jupiter, the Universe is opening a door to the mysteries of life to give us an upper hand in picking the right choices for our future. At this time our destiny is controlled by our attitudes and emotions, in determining whether we see the glass half full or half empty. How we see things will determine how we proceed in our thinking and decision making. Our thoughts will create and express the directions and decisions that will finally be made. With the Sun and the Moon as the archetype of the Universe, the aspects are telling us that we are being directed to make changes and to reinvent our selves, as the door to our secret chambers of the mysteries of life are open for a brief moment in time, for us to consider our choices. It is important that we take these fleeting moments to contemplate on our inner secrets and mysteries, and to enter into the quiet solitude with the Universe as long as the door is open. For when the door to that hidden sacred oasis is closed, we won’t know when that portal will open again. It is important to live the moment and take advantage of the open door now, as we may never have a chance again, to experience it the same way it is presenting itself to us, at this time. 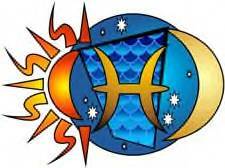 “The Sabian symbol for the Moon in 2 degrees of Pisces and for the Sun in 2 degrees of Virgo is taken from “The Sabian Symbols in Astrology by Marc Edmund Jones”, and what follows are my comments. Pisces 2 A squirrel hiding from hunters This is a symbol of the conscious conservatism through which man preserves his more enduring values, here emphasized by an uncompromising loyalty to his own self-interest. Implicit in the negative symbolism is a species of high courage in refusing to enter any phase of experience where the risks are out of proportion to probable rewards. A sense of illimitable self-adequacy is contingent on good judgment as the highest of human potentialities. The keyword is caution. When positive, the degree is an intelligent independence of spirit and a consequent real gift for setting the conditions for all personal participation in events, and when negative, self-debasing timidity. Virgo 2 A large white cross upraised This is a symbol of the conscious stewardship through which man sustains his more enduring values, here emphasized by an uncompromising testimony to his deeper allegiances. His moral courage is a dynamic for all transcendental achievement, and his psychological fearlessness is a corrective for maladjustments of both individual and society. A sense of spiritual belonging is exalted as the greatest human satisfactions. The keyword is glorification. When positive, the degree is an utterly selfless enlistment in some dramatic service for the ultimate welfare of humankind, and when negative, witless dogmatism and misdirected efforts for causes of great pretension but little real worth. Caution is the key to anything we try to accomplish, whether it is deciding the philosophy and morals that should be the foundation of every aspiration and plan we are trying to bring into manifestation. We can not assume that because our thoughts were derived from spiritual sources that beneath the layers of complexities may lay untruths that will hinder our success and completion of any of our projects. Although our noble ideas need to be defended, we need to make sure these ideals are not compromised by untruths and deceptions. The goals and projects we wish to accomplish will need to benefit all. We must remember that when the Universe is in alliance with our wishes that we need to take advantage of the moment. The statement that it is “now or never” holds more truth at this time with the positions of the planets in the night sky. So take yourself in hand and work with the energies of the planets to make the change that you will need for future success through these difficult times with this Full Moon, now! The forever messenger and traveler, Mercury enters with gusto into Retrograde, on Saturday August 20, 2010 in 19 Virgo 23 through Sunday, September 12, 2010 in 5 Virgo 21 in the mutable sign it rules. The ruler of my chart is Mercury, so I tend to have a fondness for this planet in whatever state it is in and do not have the fear and uneasiness, most people have when it appears to retrograde. My biggest concern with retrograde is not with the planet, but our concepts and apprehensions we have built up through time, about what might happen to us when we go through this period. Having experienced this phenomenon many times, I can attest to the fact that if one is cautious, alert and aware of what is happening at the moment, one has nothing to fear, but fear itself. I began to think about how horary astrologers see any retrograde as a returned and revisited situation, as a need and necessity to clarify past circumstances and actions, to bring future success to fruition. These thoughts made me wonder if Mercury Retrograde was a blessing in disguise to give us time out of our busy modern schedules for introspection and retrospection, to clarify our intentions by energizing the power behind our words and thoughts. We must place into action the accepted wisdom that we can create the future by living the moment to the fullest with intention, or take the action to step into the void and begin with fresh new ideas and thoughts without the cumbersome baggage of doubts and misgivings. “The Sabian symbol for the 20th degrees and the 6th degrees of Virgo are taken from “The Sabian Symbols in Astrology by Marc Edmund Jones”, and what follows are my comments. Virgo 20 An automobile caravan This is a symbol of nature’s prodigality as revealed through man’s genius for multiplying the facilities of modern life, and for pyramiding the expectancies which will interest an enlightened individual. Experience is on the move in a civilized society, since everyone has been encouraged to heed his visions and to claim increasing rewards for the skill he develops. Self goes out very courageously to meet its world, and as a result finds it has brought a cosmos to its doorstep. The keyword is variety. When positive, the degree is an exceptional capacity for creating a greater promise and producing expanded dividends in every area of human activity, and when negative, improvidence and restlessness. Virgo 6 A Merry-go-round This is a symbol of a cyclic and necessary intensification of any personal being, as emphasized on the side of normal or everyday experience. Pleasure is the simplest possible form of creative exchange, and it always encourages and refines the individual’s range of potentiality. Here is receptiveness to every turn of opportunity to be found in the immediate situation, and a willingness to attempt its demonstration. The keyword is diversion. When positive, the degree is endless and happy resourcefulness in a constant reorientation of self to meet varying exigencies of life, and when negative, a continuous and senseless ricochet from one to another meaningless phase of self-expression. The planet Mercury gives structure and sense to our abilities to communicate ideas and thoughts with one another, in which understanding complex concepts can be materialized into the physical world. With Mercury Retrograde it is asking each one of us to review, to reclaim, to rethink, to reenergize what has gone before and to allow the planet to work its magic with words and thoughts to create the world we wish to participate in. Our ability to create is also our ability to duplicate, and success comes from variations and variety which continues to excite the mind to develop further ideas to titillate the imagination. Retrograde is demanding us to live the moment with joy and enthusiasm, if we are to avoid mistakes, frustrations, trials and tribulations in the future. This is the time to use the Retrograde like a New Moon period to meditate, review, reorganize and to see what is really important to us which would make us happy. To live life everyday as if we are always going to an amusement park, where the horses on the Merry-go-round are our ideas, thoughts and creations. Mercury Retrograde is a time for retrospection and to step back into the void, where every moment of life is well lived, experienced and enjoyed.